This little secret place in the south part of Wichita is a neighborhood favorite in a casual, friendly atmosphere. 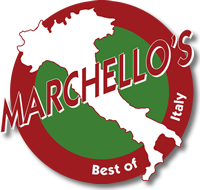 Marchello's offers a large selection of salads, sandwiches, calzones, paninis, pizzas, desserts, and a variety of pasta dishes in addition to chef's features. Only fine ingredients are used to make our unique marinara, breath-taking Alfredo and Marsala sauces, and pizza crust from scratch to create such great Italian dishes. We offer a nice selection of wine, domestic and imported beers, and cocktails. We cater for all occasions either as pickup, drop off or full service. Our catering menu also offers large portions with many delicious options to please you, your family, and your friends for those memorable events. We accommodate special requests when catering for you. Call Mickey for your next special event. 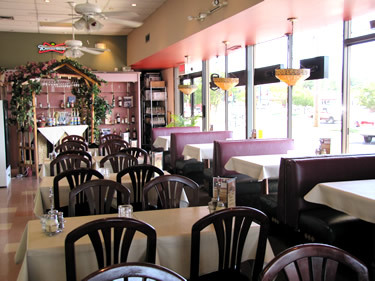 Relax in a friendly atmosphere and enjoy Marchello's quality Italian cuisine. From all of us, see you soon!